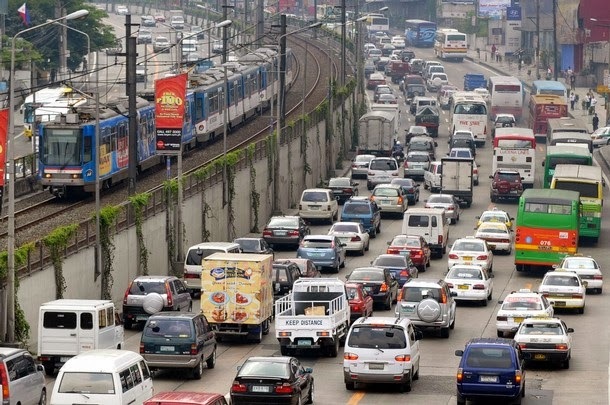 Manila - Metropolitan Manila Development Authority (MMDA) is expecting a 20 percent increase in traffic volume this Christmas season because of the influx of people and vehicles from nearby provinces such as Cavite, Laguna, and Bulacan. To ease the traffic congestion, the agency will be implementing some traffic regulations this Christmas holiday. MMDA Chairman Francis Tolentino advised that aside from the 17 Christmas lanes, a total daytime truck ban will also be enforced throughout Metro Manila from 6:00 a.m. to 10:00 p.m. from December 13 to 20, except on South Luzon Expressway (SLEX) and North Luzon Expressway (NLEX) going to Port Area in Manila. “For the first time in history, we will be implementing this total daytime truck ban during the Christmas season and we expect a huge reduction in the number of trucks plying major roads such as C-5 road, Ortigas Avenue and Ramon Magsaysay Boulevard,” Tolentino said. This is on top of the moratorium on all excavations in all national and city roads starting on the midnight of December 13 up to the midnight of January 6, 2014. Tolentino said a total ban on fun runs, walkathon, marathon, bike race and similar events will also be enforced from December 16 to January 6, 2014. Except this weekend, Tolentino also announced that there will be no more road reblocking operations along major and secondary thoroughfares until January 6, 2014. “These traffic measures are designed to facilitate the free flow of motorists and Christmas shoppers before the start of Simbang Gabi on December 16,” the MMDA chief said. The retraining program of all traffic constables has likewise been suspended to ensure that there will be enough personnel to man the streets, Christmas lanes included. Download the traffic regulation file from MMDA here.